I often think back to my first solo trip and how my life has taken me on unexpected adventures since the 7-month journey. 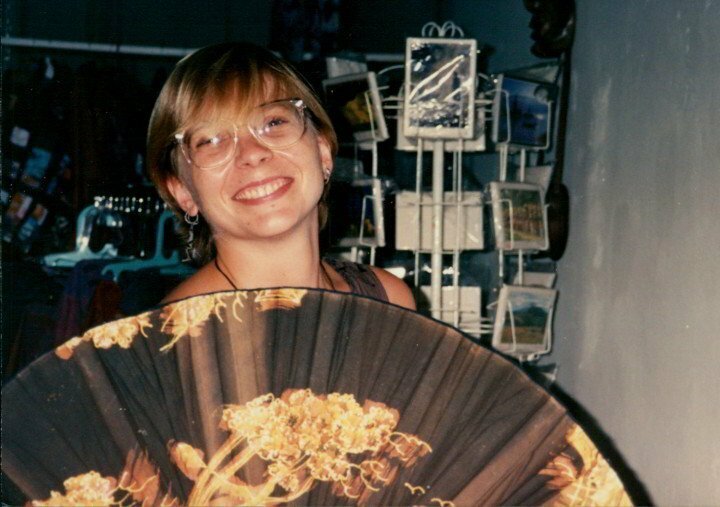 Twenty-two years ago, in August 1993, I was enjoying my last few days on the tropical island of Bali in Indonesia. 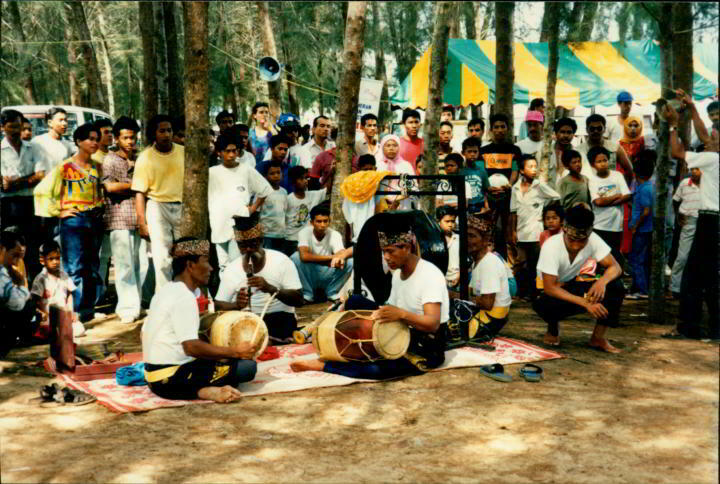 One could stay two months for each entry to Indonesia back in the 90’s. I visited the archipelago twice, taking buses, boats, and motorbikes around the islands of Java, Bali, Lombok, Gili Air, Sumbawa, and Flores. I never imagined I would go on to work in Siberia nor live in Louisiana, Texas, or Nigeria. I did dream of being a nomad and traveling full-time – the seed planted in 1993. Some dreams have a long germination period before they take root and can begin to blossom. On my return flight I remember marveling that I would arrive in Vancouver before I left Hong Kong, due to crossing the international date line while flying eastbound. Now that I am making an effort to rid my life of unnecessary possessions I sorted through all of my actual photos from my travels in the 80’s and 90’s, before the digital camera and mobile phone became commonplace. Sifting through all the photos from my first solo trip to Southeast Asia in 1993 started me reminiscing about roaming around the world. I kept a handwritten journal with stories and details of my adventure, but it went amiss after a move in Austin – I moved 6 times during my first 5 years in Austin. Looking at the photos brought back the memories of my trip. I found receipts and maps from my travels around Indonesia, Malaysia, Singapore, and Thailand. Fond memories of some people, as if I saw them just a few days ago, others faded as my cotton t-shirts in the tropical sun. I found my receipt for 5,000 Thai baht, and my dive log from the PADI Open Water Diver certification I took with Koh Tao Divers. I spent three weeks on Koh Tao – a small island in Thailand – in March of ’93 perfecting my vagabond beach bum skills. My first taste of real freedom began on my initial solo trip. I fell into a groove and slowed down. Way. Slow. One thing – only one thing on my “to-do” list – the optimum number of things to accomplish in a day. Just one and only one. Anything more than one task per day might become stressful. Embracing a slower pace allowed me to be present in each moment. My mind no longer raced from one task to the next. I became more observant of my surroundings. I hung out with fellow travelers and enjoyed lively discussions. It opened my eyes to listen to the opinions and stories of people from other cultures. I talked with the local people. We discussed all kinds of topics, from dreams and ambitions to politics, travel, health, daily routines, lifestyles, food, pop culture, art, religion, work, family dynamics, etc. People are the same everywhere. We have the same basic needs. We have the same emotions. We all want to be happy, feel secure, and enjoy life. There are cultural differences and social conditioning affects our opinions and beliefs, but we share more similarities than differences. I didn’t do much pre-planning for my solo adventure in Southeast Asia. I gathered basic information from other travelers and from my Lonely Planet guidebook Southeast Asia on a Shoestring. Sometimes I stayed in one place for a few weeks and sometimes I moved on immediately if the location did not suit me. Awakening in Chang Mai, after a Valium-induced sleep on the night bus from Bangkok, I found the pace too busy for my liking. I booked a bus ticket to the smaller village of Pai, near the Burmese (Myanmar) border, and joined a hill tribe trek for a few days. My pillow was a sack of rice and my bed was a slice of foam on the wooden floor. 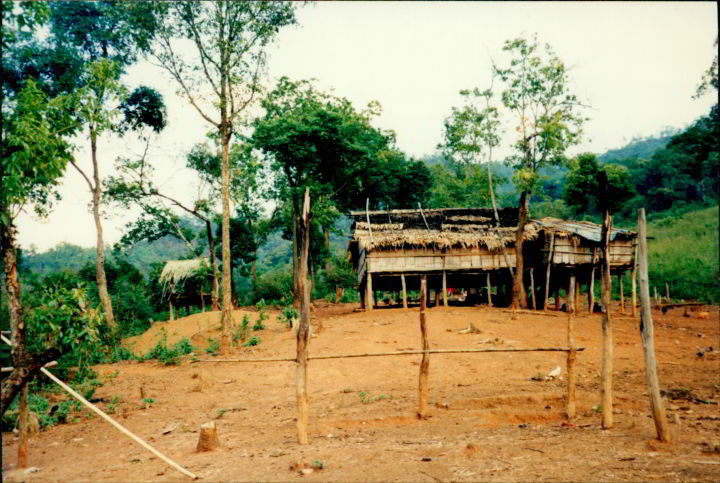 I almost quit on day one of the hill tribe trek. April is the hottest month in Thailand and I began to wilt from the heat and humidity. I am thankful to the guide, who urged me to tough it out and continue the trek. It boosted my confidence to finish the 3-day hill tribe trek. Travel has taught me many things. Patience. Gratefulness. The kindness of strangers. I don’t need a lot of material things to be happy. Live in the moment. I am looking forward to my next solo travel adventure and learning from the people I meet along the way. September 30th 2015 my lifestyle experiment begins. On the road again, soon! It is nice to go over photos, journals and other mementos from time to time and reminisce from time to time. A good reminder of what traveling has taught us. Enjoy your next adventure. It’s many years since I’ve travelled solo but I remember that heady sense of freedom and achievement when it all went right (which it always did in the end). Good luck with the nomadic travels. I usually travel with my sister and we have a lot of fun. But when a chance to travel solo comes up I’m always glad to take it. It’s such a different experience and in a way a real luxury. Admittedly I won’t be found sleeping on a foam mattress with a rice pillow at this point in my life, but you go girl! You’ve had some great adventures. I thought you had already started you next one. I’m sure it will be great. I’ve never done a trek in Thailand, and that’s mainly because of the heat. I slow down, way down, when the temps go up. I can’t recall ever taking a truly solo trip. I’ve been on trips where I roomed alone but had companions during the day. But I adore the philosophy you adopted on your first solo trip, where your goal was to only accomplish one things each day. That does sound like a vacation to me, especially if my goal is to spend the day lounging on a beach. Thanks for commenting Carole, I think it is my introvert tendencies that embrace the solo travel. I also do like the challenge of being alone and figuring everything out by myself – perhaps I am a control freak?!? The goal of doing only one thing per day takes the pressure off, no check list, no must-see list, I enjoyed it. I had the luxury of time. I think is wonderful. I have kept some of the written accounts of different trips I had taken years ago. It is so interesting to re-read and re-experience those moments. This is a great look back at the travel experiences and memories that are still inspiring you today. My first real travel experiences were in Europe back in the 1980s. My wanderlust was rekindled in recent years when looking back, I realized these experiences were some of the best times in my life. All those past experiences influence us throughout life. Happy travels to you! And hope to meet you in Calgary next summer while on my road trip – will be nice to meet in person and talk travel. Susan, I think on solo trips one talks more to locals. I’ve thoroughly enjoyed the ones I’ve done over the years. Originally, I’d just set off, and assume everything would fine. These days I’m more cautious. This sounds like the basis for a book. Susan’s Memoirs coming up? Wonderful that you kept those treasures from your first solo trip. What great memories of meaningful and life-changing adventure. Travel is an amazing teacher — in any of its forms. All the best on your upcoming lifestyle experiement! Reading about your first solo trip reminded me of mine, taken before all the mod cons of cellphones, ATM banking, skyping, etc. I really was flying solo. It’s so hard to really ‘depart’ these days, we’re always connected and with globalization foreign places don’t seem all that foreign. I love your old-school ‘actual photos’ and would love to see more! Glad this reminded you of your earlier solo travels Lesley. It was so different without all the electronics and connections back to home and friends/family.